Join us to discover the underwater wonders around Dunsborough, the lovely region of Margaret river only 3 hours drive from Perth. Departures every month on Friday afternoon, return on the Sunday night. 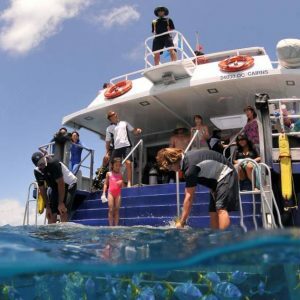 Spend 2 nights in a cozy villa and enjoy 5 dives managed by an experienced team, including 2 dives on the famous HMAS Swan wreck and 1 dive under the Busselton Jetty. Breathtaking dives and landscapes! 2 boat dives: 30 metres deep dives on the swan wreck Sunday morning, unforgettable experience! The transportation (around 3 hours from Perth). Possibility of lift for $30 return per person. Meals (except for Sunday, food will be served on the boat between the dives). Everyone is responsible of his own food and drinks: The villa has a fully equipped kitchen for those who are keen on cooking, and there is lots of nice bars and restaurant around otherwise. Perth Ocean diving ensures to have the best and newest equipment and services it every year. The bay is relatively sheltered from the wind and currents which makes ideal conditions for diving. We dive in and around a massive bommie of coral (50 metres long) containing lots and lots of marine life: Cuttle fish, octopus, western blue devil, banded shrimp, cray fish, brown ray, nudibranchs… And don’t forget to look around into the blue: You might see a big stingray, dolphin, or impressive schools of fish! 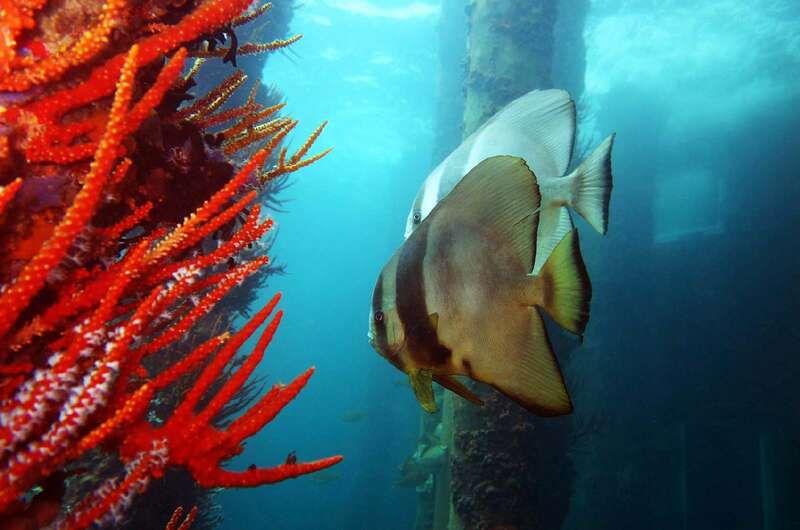 Dive on Busselton jetty, the biggest jetty in the south hemisphere (1.8 km long)! 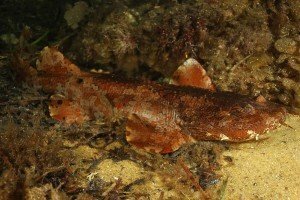 We can observe bat fish, herring, trevally, bream, juvenile squid, scorpion fish, wobbegong shark, numb ray, blue ring octopus…We can also watch big octopus, cuttle fish, crab and sea star hunting, very entertaining! Boat dive (20 minutes ride to the dive site) to the HMAS SWAN Wreck, an old 133 metres long ship from Australian Navy that has been sank in 1997 on 30 metres deep waters for enjoyments of divers. What we can see: Schools of porcupine and bat fish, and trevally hang around the wreck. Big wobbegong shark and flat heads like hiding under or inside the ship.